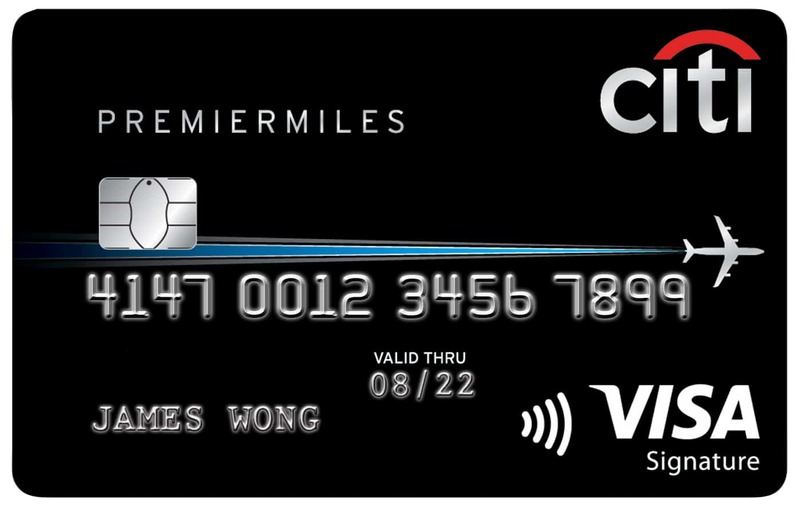 No more confusion: all Citi PremierMiles Visa cardholders who held the card before 1 Aug 2018 are eligible for the $8,888 spending promotion. 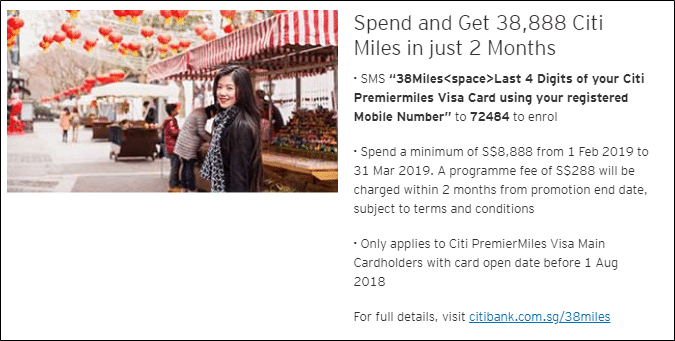 Yesterday, Citibank announced a great promotion for existing Citi PremierMiles Visa cardholders– by spending $8,888 before 31 March 2019 and paying an admin fee of S$288, cardholders could earn 28,223 bonus miles. This represents buying miles at 1.02 cents each, which is a fantastic price. There was some concern among cardholders about their eligibility, because not everyone received an SMS or eDM about the promotion, and as per the T&C eligible cardholders needed to receive a direct invitation to participate. These cardholders were still able to register for the promotion via SMS, but there was always a nagging feeling that they might spend S$8,888 with nothing to show for it. Citi’s CSOs weren’t too helpful either- some said that so long as you held the card before 1 Aug 2018, you were eligible. Others said that if you didn’t get the SMS/eDM, you couldn’t take part. Well, it seems Citi has taken the initiative to clear this up, at least on their official site. Here’s the new T&C file, which was modified on 1 Feb 6:23pm. Spot the difference? Part (iii) has been unceremoniously removed. Heck, they didn’t even bother to remove the “and” at the end of (ii), making it look really weird. So hopefully that settles it: anyone who has held a Citi PremierMiles Visa card before 1 August 2018 is eligible to register and participate. In addition to the S$8,888 promotion, it seems that Citi has added a second, targeted promotion with a smaller spending threshold. Cardholders who spend S$2,888 by 31 March 2019 and pay an admin fee of S$58 get 5,423 bonus miles. This represents buying miles at 1.07 cents each, slightly higher than the S$8,888 promotion but still a very good deal. Of course, 5,423 miles isn’t much to go on, but hey, you’re spending 68% less. Unlike the S$8,888 option, the S$2,888 option is targeted, so you can’t take advantage of it unless you received an eDM or SMS from Citibank. It’s good that Citi has cleared up the confusion regarding eligibility for the S$8,888 spending promotion- that’s quite a bit to spend, and I imagine people would be pretty bummed out if they ended up with nothing but base miles. Similarly, the S$2,888 targeted offer may not represent a whole lot of miles, but it’s still a much more attainable threshold for most people. If you don’t already have a Citibank PremierMiles Visa card, you might like to know that Citi has extended their spend $7,500 get 30,000 miles sign up bonus until 31 March. Another thing to note, because I (sadly) personally fall into his category.. Unless someone knows better and can resurrect me, for which I would be much appreciated.. Well..I have received the eDM through email and sign up for this promo..will definitely hit the $8,888 spend within this week..have been holding the card for a few years now..will update to again to see when the miles are in after I hit the minimum spend! Would the amount spent by supplementary cardholders be counted? Does anyone know if their Payall for rent and school fees count towards the $8,888 spend?